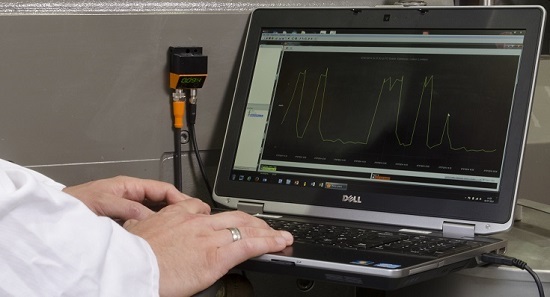 Baker Perkins has introduced a gearbox condition monitoring service to reduce unexpected downtime on its MP range of twin-screw extruders for the powder coating and pharmaceutical industries. The principal benefit is elimination of unforeseen loss of production because of gearbox repair or replacement: maintenance scheduling is significantly enhanced. This simple low-cost retrofit system continuously monitors the frequency and amplitude of vibrations within the gearbox, allowing the ongoing condition of vital components to be measured. Green, amber or red signals indicate that the gearbox is operating within limits, requires inspection or maintenance, or needs urgent attention. The easy-to-understand self-monitoring system is pre-calibrated for Baker Perkins extruder gearboxes, with transition points benchmarked and highlighted immediately on the ‘traffic light’ system. Additional features include full reporting for in-depth data analysis and retention of data for three-years, with historical trend analysis allowing the creation of an ongoing preventative maintenance schedule. 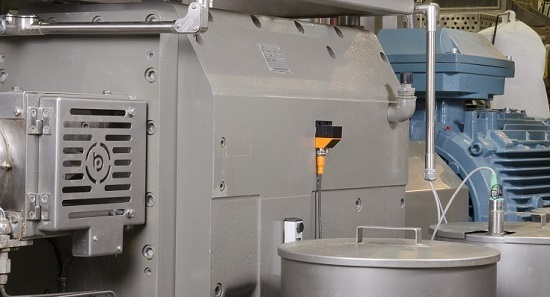 The system sensor is easily fitted onto the side of existing extruder gearboxes; it can be integrated into the PLC control system of new machines.